What Is the Attrition Rate for Afghan Special Operations Forces? Q: General, it’s Luis Martinez with ABC News. Can I ask you about what your command’s role is going to be after 2014? What — will there be a shift in emphasis? What exactly will your operators be doing? And also, the Afghan national army as a whole seems to suffer from attrition and retention problems. How does that manifest itself in the commando kandaks, if at all? We are not suffering similar attrition or, as we prefer to look at it, retention challenges with the commandos and with other formations. But again, here again, we’re lucky. We’ve been working with them for a while. They are on a cycle which has a built-in break, so it’s a great, amber, red cycle, where green, combat is on the schedule, they are going into operation and they know that they’ll have, you know, a — they’ll be applied in the hardest possible scenarios. But on the other cycles, they’ll have a chance to recoup, take leave. They’ll also have a chance to train as they come back into green cycle. And I know that others are attempting to apply that same cycle to the rest of the force. 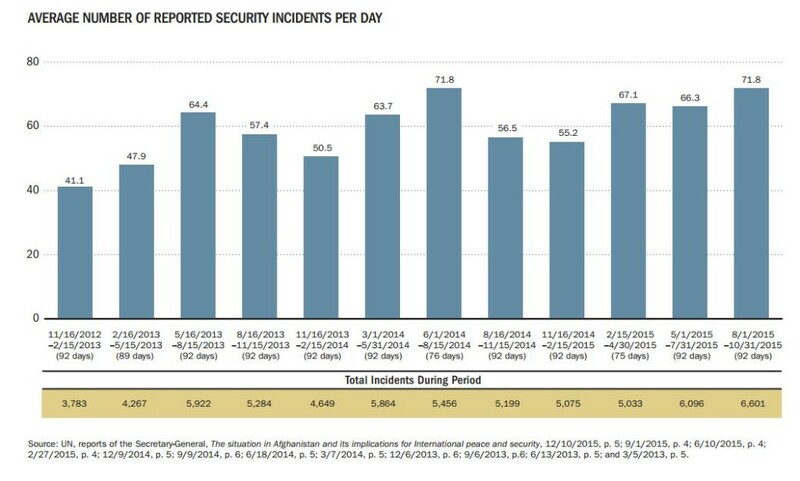 That’s been the great challenge for the rest of the Afghan security forces, is they’re almost in a relentless combat cycle, and it’s breeding some of the retention challenges. But we are — we are looking to fix that over time, and, again, the special operations example is applicable to the rest of the force. We just need to bring that into line. I noted at the time Thomas said this that it should be fairly easy to fact-check Thomas on his claim that Afghan Special Forces do not suffer the same high attrition rate as the rest of ANSF. One reason for my thinking this is that Afghan Special Forces are not nearly as highly trained as US Special Forces. There is only a twelve week extra training period for Afghan troops to be classified as special. I have a hard time seeing how such a short period of additional training will add significantly to retention rate. ANASOC continues to develop its institutional capacity to conduct training programs. Currently, a majority of courses taught at the Division School of Excellence are Afghan-led, with minimal Coalition Force oversight. The ANASOC has produced 11,710 Commandos and 955 ANASF. Graduation rates for both CDO and SF operators remained steady and are on schedule to meet end-strength targets. From April through September 2012, the School of Excellence produced a total of 621 new CDO, and 282 new SF operators. 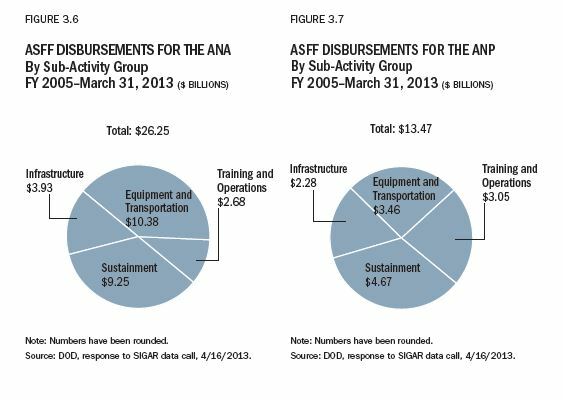 Based on current recruiting and graduation trends, ANASF are anticipated to achieve their end-strength force level of 1,863 personnel by the 4th quarter of 2013. ANA Commandos (ANACDO) are currently at their endstrength force level of 12,525. Staff training at all levels is occurring through uniformed and civilian mentorship programs; the target of ANASOC reaching FOC for all units is 2014, with the exception of the SMW. There are several different categories of ANSF troops described in the paragraph, but from the context of Thomas’ remarks and the reports analyzed here, the category of commando is what is relevant. Note that this Defense Department report claims 621 new commandos trained in an approximately five month period and that the commandos are at the endstrength force level of 12,525.
https://www.emptywheel.net/wp-content/uploads/2016/07/Logo-Web.png 0 0 Jim White https://www.emptywheel.net/wp-content/uploads/2016/07/Logo-Web.png Jim White2013-05-16 10:41:372013-05-16 10:41:37What Is the Attrition Rate for Afghan Special Operations Forces? Afghan President Hamid Karzai is in Washington this week for a visit that culminates on Friday in a meeting with President Barack Obama and Secretary of State Hillary Clinton. He also meets with outgoing Defense Secretary Leon Panetta on Thursday. As I described in November, the US and Afghanistan are negotiating a Status of Forces Agreement that lays out the ground rules for any US troops that remain in Afghanistan beyond the planned withdrawal of combat troops by the end of 2014. As was the case with the SOFA for Iraq, the key sticking point will be whether US troops are given full criminal immunity. When Iraq refused to grant immunity, the US abruptly withdrew the forces that had been meant to stay behind. Both the Washington Post and New York Times have prominently placed articles this morning couching the options on the number of troops to remain in Afghanistan beyond 2014 in terms of strategy for achieving US “goals” there, but the options described now include the “zero option” of leaving no troops behind after 2014. Unlike the case in negotiating the SOFA with Iraq, it appears that at least some of the folks in Washington understand this time that the US is not likely to get full immunity for its troops with Afghanistan, and so there should be some planning for that outcome. Both articles openly discuss the real possibility of a zero option with no troops remaining in the country, although the Times actually suggests full withdrawal in the article’s title (“U.S. 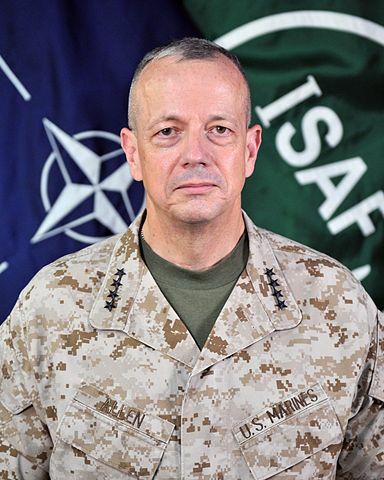 Is Open to Withdraw Afghan Force After 2014”) and the Post hangs onto hope of several thousand troops remaining with its title (“Some in administration push for only a few thousand U.S. troops in Afghanistan after 2014”). While President Obama has made no secret of his desire to withdraw American troops as rapidly as possible, the plans for a postwar American presence in Afghanistan have generally envisioned a residual force of thousands of troops to carry out counterterrorism operations and to help train and equip Afghan soldiers. Military analysts have said it is difficult to conceive of how the United States might achieve even its limited post-2014 goals in Afghanistan without any kind of troop presence. That suggests the White House is staking out a negotiating position with both the Pentagon and with Mr. Karzai, as he and Mr. Obama begin to work out an agreement covering the post-2014 American role in Afghanistan. From the time that training of Afghan forces first became disrupted by the security measures put in place in response to the spiraling rate of green on blue killings, I’ve been convinced that at some point NATO is going to be forced to give up on the concept of a target size of 350,000 Afghan security forces to be in place as NATO withdraws from the country. Despite the simple math that says any slowdown on feeding new recruits into a system that has such a high rate of loss means the overall size must decrease, it has appeared so far that NATO has been planning to game the numbers while adhering to the 350,000 force size. That now appears to be the direction U.S. commanders are heading. The White House and Pentagon have decided that the 352,000 will only be a “surge force” that will eventually be reduced to 228,500. The decision has prompted unease among senior U.S. commanders and protests from Levin, McCain and other congressional supporters of a large Afghan army. The Obama administration has billed it as a cost-saving move, but some U.S. officials see another motivation. “Now we can start concentrating on quality,” said the senior U.S. official involved in Afghanistan policy. But the planned cutback, which will not begin until 2016, already is fueling a new round of concern because the U.S. and Afghan governments have not started to develop a program to systematically demobilize soldiers and policemen by providing them alternative employment. If not, thousands of men with at least nominal military training will find themselves jobless the very moment the country’s economy will be struggling to cope with a drastic reduction in foreign spending resulting from the departure of most NATO troops. Those who worry about “dismantling” ANSF to reach the lower number have nothing to worry about. The high rate of attrition says that any lowering of force size can be achieved rapidly merely by slowing input into the system. Afghanistan already is awash in thousands who were “trained” and then deserted the security forces, so the fears of releasing more are too late. Also, my prediction is that the projection that the cutback will not start until 2016 is merely a way to get agreement first on the smaller force size. Once the smaller size is a familiar concept, then I expect the timing for it to be changed dramatically to coincide with the actual withdrawal of NATO forces. Look for the withdrawal timing also to be accelerated greatly once the US election has taken place. By mid-December, I expect the plan to be for a withdrawal of the bulk of NATO troops within a twelve month timespan with a target ANSF size of 228,500 by the end of withdrawal. But don’t expect Obama to admit that reality at tonight’s debate. He will steadfastly maintain that all 352,000 members of the ANSF are properly vetted (they aren’t) and trained (they aren’t) and stand ready (they aren’t) to take over as we leave by the end of 2014 instead of 2013. Look for Romney to hint that he wouldn’t really favor withdrawal, especially on a “timetable”. In other words, neither Obama nor Romney will say much of anything about Afghanistan that will align with how events will unfold after the election.